…the difference in height between the lowest and the highest point in the corner of Eau Rouge - Raidillon is a whopping 35 metres? It is not surprising this particular corner is at the same time feared and loved by many. …the new facilities on the upper side of the racetrack were built on Bernie Ecclestone’s request? This was one of the requirements to bring the Formula One back to Spa-Francorchamps. …in the fifties sometimes 150.000 spectators would show up along the track? Only few of them paid an entrance fee. Nowadays, spectators are not allowed to settle anywhere they want. Rather they are concentrated on a few locations around the track. For an F1-weekend 65.000 Formula One fans attend. 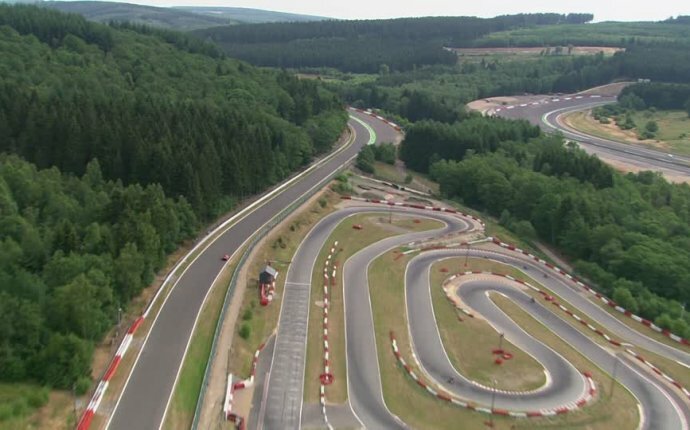 …the Spa-Francorchamps racetrack used to be 14 kilometres long? Since 1979 the length has been reduced to just over 7 kilometres. The circuit has been modified on several occasions to meet safety regulations. The “Chicane” (or “Bus Stop”) was not incorporated in the original track layout, making the track too fast, with drivers racing with over 300 km/h up to the La Source hairpin bend just after start/finish. Between mid-March and mid-November there is daily racing going on in Spa-Francorchamps. Usually these are open track days where the track is accessible to everybody using his or her own car. Car manufacturers can book the complete racetrack facilities for a weekend. They can invite their top clients and VIPs to drive around on the track. And then there is the Grand Prix Formula One. Every summer Ferrari, McLaren, Red Bull, Renault, Williams and all the others move to the Belgian Ardennes. The Spa-Francorchamps circuit is absolutely legendary and considered by many of the riders to be the most beautiful track in the world. The racetrack breathes a rich history. Michael Schumacher participated in his very first Grand Prix in Belgium in 1991. His first GP victory came exactly one year later, again on the Spa-Francorchamps track. Take the guided visit to the racetrack and get an exclusive view on the site. You’ll get to see the press hall, race control, the stage area, … And you will learn about the track history and its anecdotes. During open house days it's possible (fee due) to discover the track with your own car.